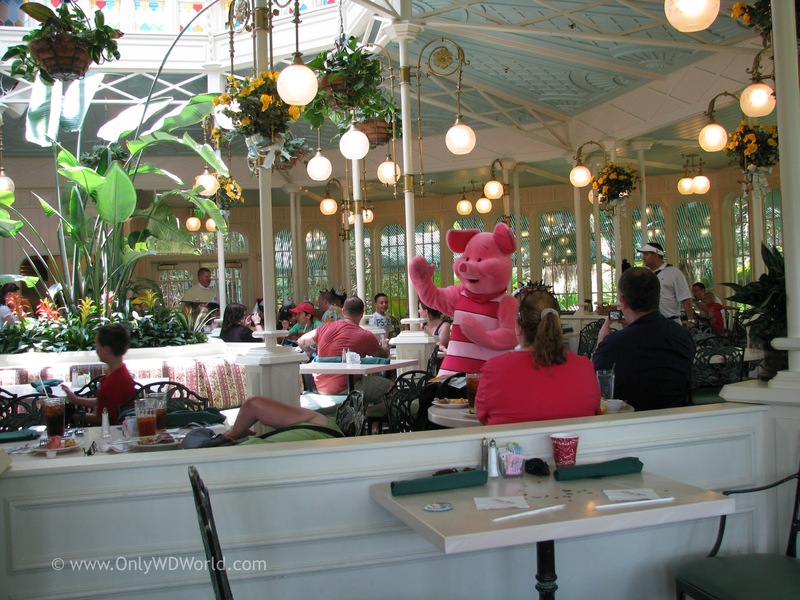 When you are planning your Disney World Vacation, you should definitely consider eating at one or more of the Disney World Character Dining experiences. 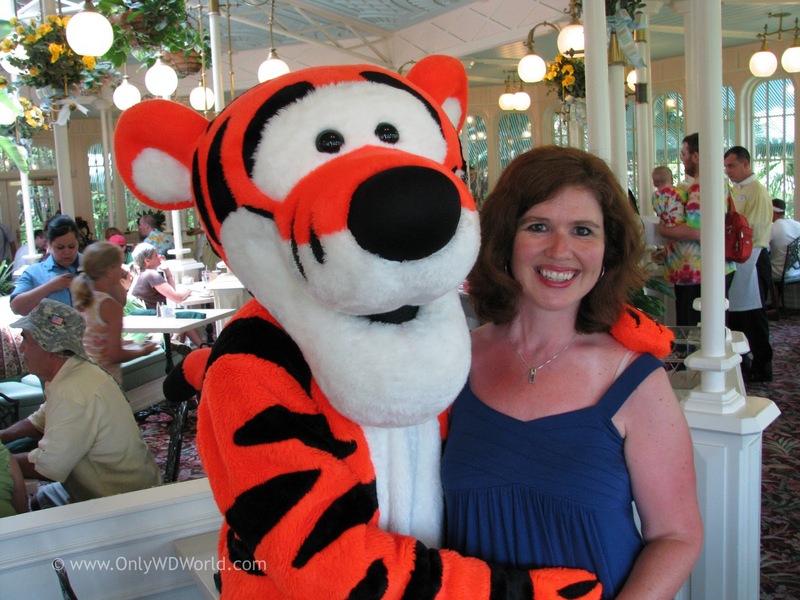 When you add Disney Characters to one of the Walt Disney World Resort themed Restaurants, you create a memorable experience that will endure long after your vacation is over. 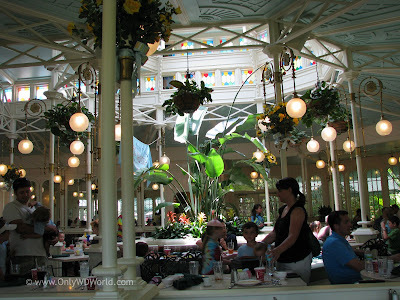 One of the most popular Disney Character Dining venues is the Crystal Palace, which is located within the Magic Kingdom Theme Park. 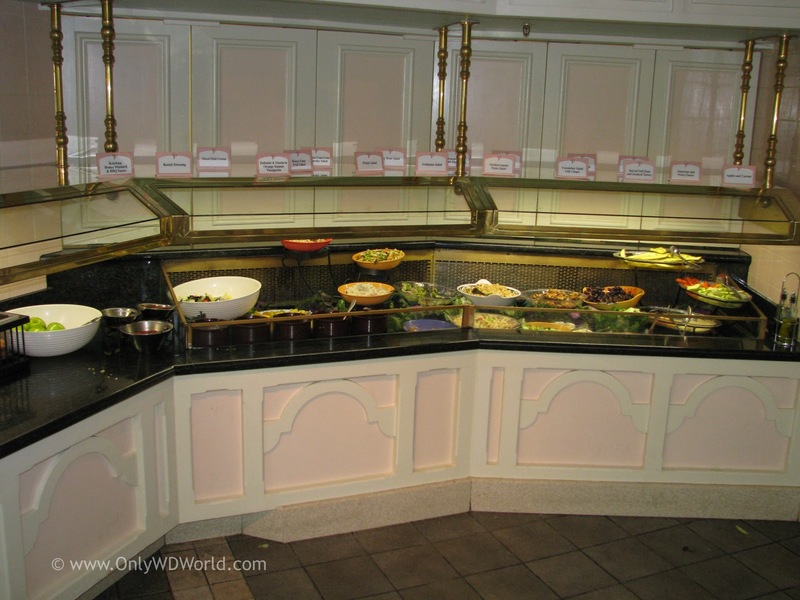 Not only will you be treated to a marvelous buffet meal, but you will also encounter Winnie The Pooh and his friends from the Hundred Acre Wood. The Crystal Palace is a beautiful Victorian Styled building with a multitude of windows that makes it very bright and airy during the day and an almost magical feeling at night. The Victorian choice of architecture fits in well with the English roots of its star inhabitant Winnie The Pooh. 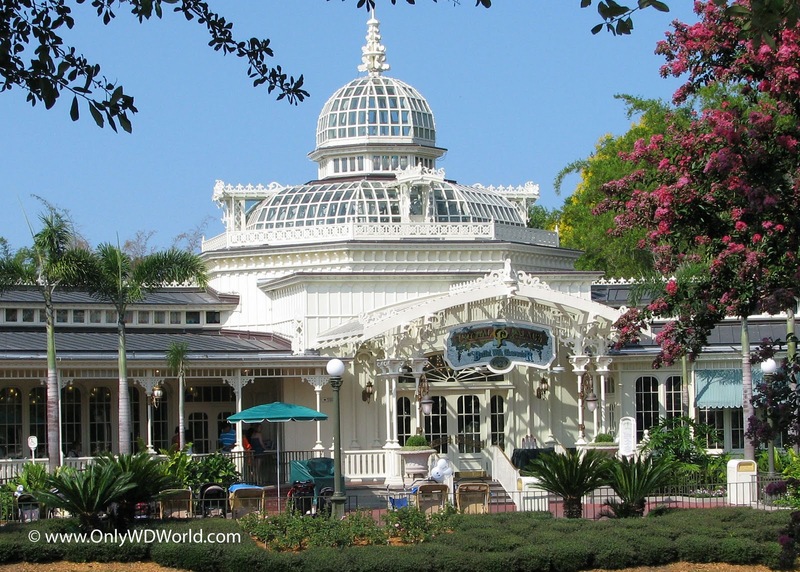 The Crystal Palace sits at the juncture of Main Street U.S.A. and the entrance to Adventureland. The Disney Imagineers took this into consideration during the design of this restaurants using elements of the San Fransisco Conservatory Of Flowers, Kew Gardens of England, and the Crystal Palace in New York. 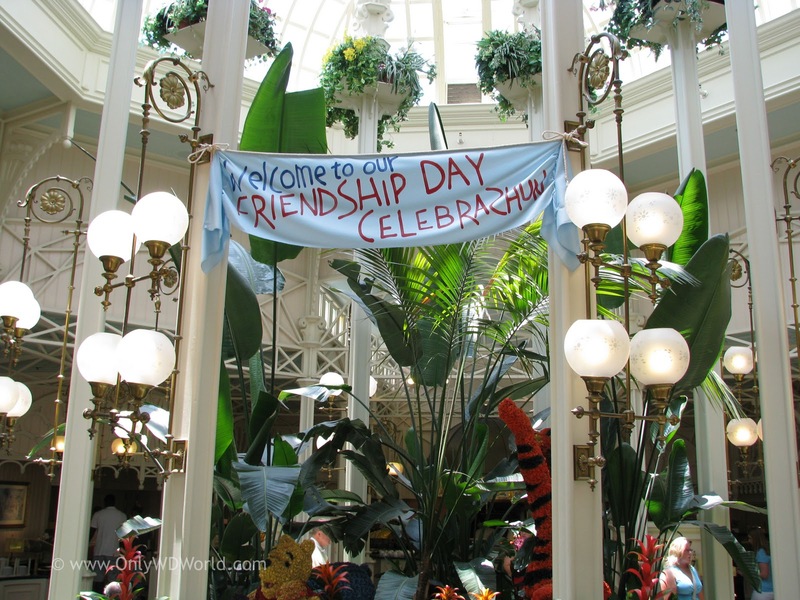 These elements were all combined to create a gateway to the Colonial Inspired Visions of Asia and Africa that form the basis of the design of Adventureland. 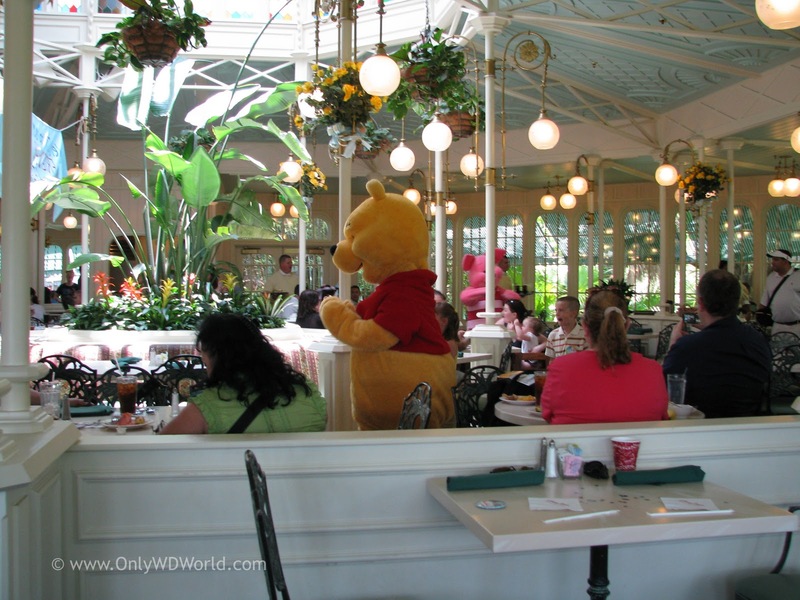 The Disney Characters, in this case Winnie The Pooh, Piglet, Tigger, and Eeyore, play an important role in the Dining Experience for children and adults (children at heart) alike. During the meal each of the characters makes their way around the restaurant stopping at each table to interact with the guests, signing autograph books, and posing for pictures. 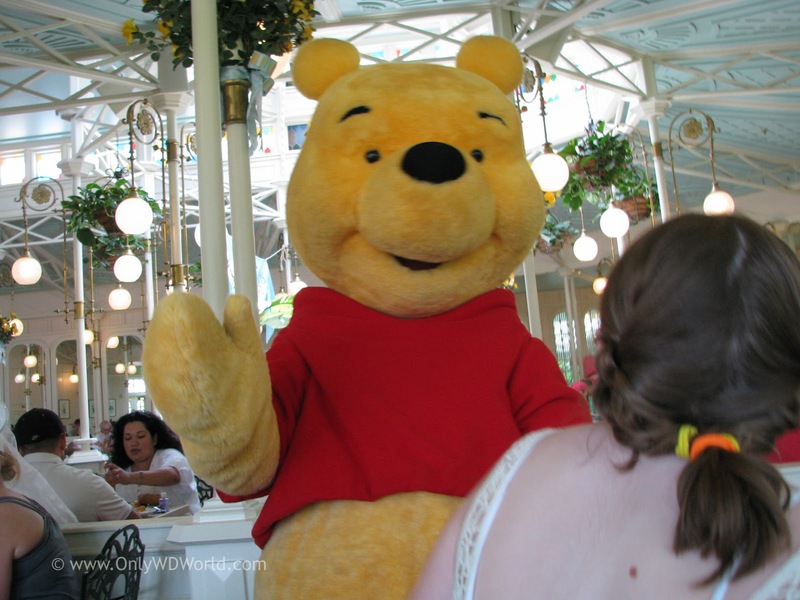 Each character has his/her own personality and it comes out during their interactions with the guests. 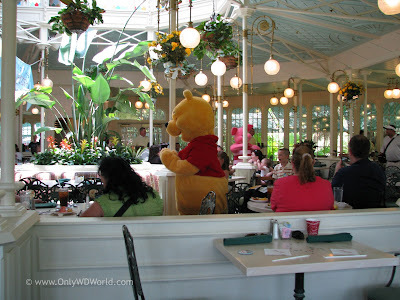 You can't help but smile when the life-sized lovable Winnie The Pooh comes to your table. Piglet is so cute that you want to hug him, and here you can! Even the adults can't wait to pose for pictures with Tigger. Make sure that you bring your camera, because there will be plenty of photo opportunities during the meal. 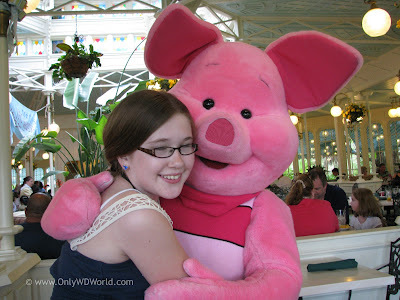 Disney Vacation Tip: Don't be afraid to ask a Disney Cast Member to take a family group shot on your own camera. Even Disney PhotoPass Photographers will take a picture on your camera if you ask. The Crystal Palace serves breakfast, lunch, and dinner with characters appearing at all three. 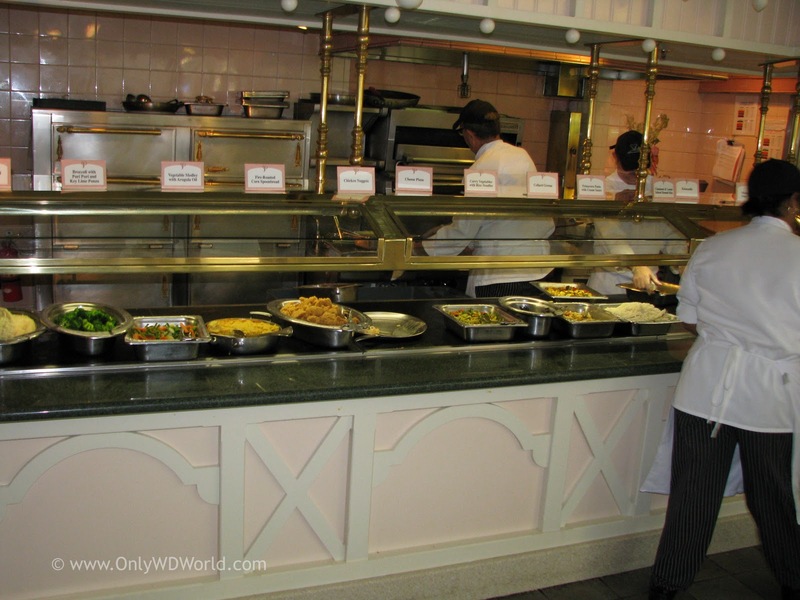 The buffet style meal works well for families as the large variety offering allow even the pickiest of eaters to find something that they like. It also makes it easier to time your trips to the buffet with the appearances of the characters at your table. 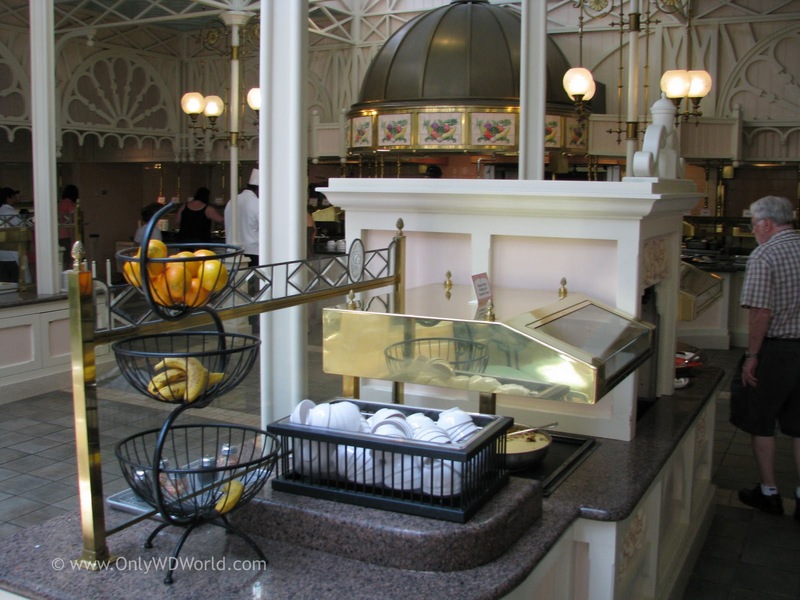 The Crystal Palace Buffet for breakfast includes traditional items such as: omelets, cereals, freshly baked pastries, fresh fruit, breakfast pizza and cheddar cheese potatoes. 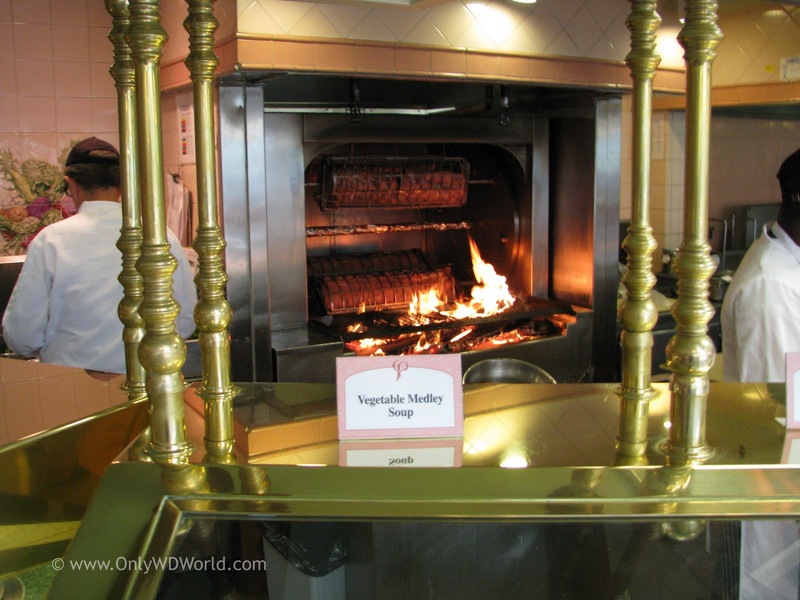 The Lunch and Dinner Buffets include a variety of salads, vegetables, and American favorite entrees like: carved flank steak for lunch and sirloin for dinner, rotisserie chicken and Atlantic salmon. Many of the along dishes have a delicious hint of curry, cinnamon, mango and papaya to give the menu a touch of uniqueness. The Crystal Palace also features a show kitchen where you can watch the dishes being prepared and have the chefs served the freshly carved meats. The dessert stations are also a treat including bread pudding, a variety of tarts, pies, cakes, and pastries. 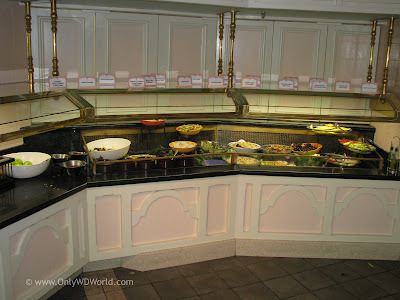 For children there is even a special buffet station with their favorites like: fried chicken nuggets, macaroni & cheese, pizza, and peanut butter & jelly sandwiches. 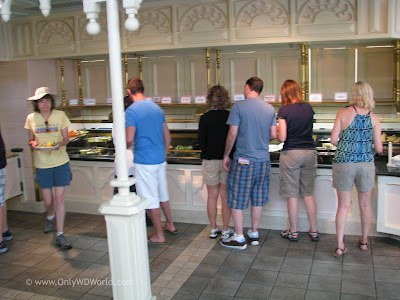 Adults may also get food from this area and children may choose any of the other dishes. 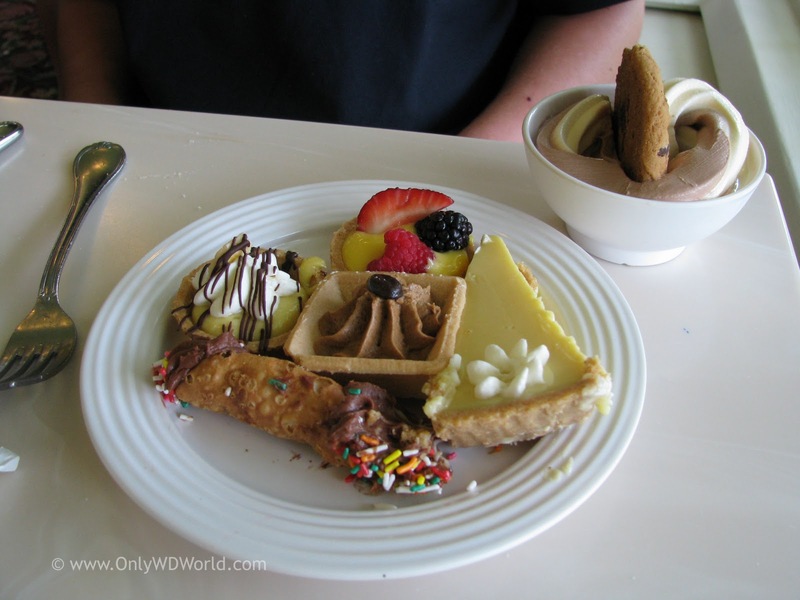 These are just provided so that the more selective eaters have something that they may enjoy. The Crystal Palace is a great place to enjoy a Character Dining Experience at Disney World. Advance Reservations are highly recommended and are a must during most of the year. The buffet is wonderful and the quality of the food is much better than any typical buffet you will find. the food is fresh, hot, and very tasty. The interaction with Winnie the Pooh and his friends was delightful and was something that everyone enjoyed, even the grumpy adults. 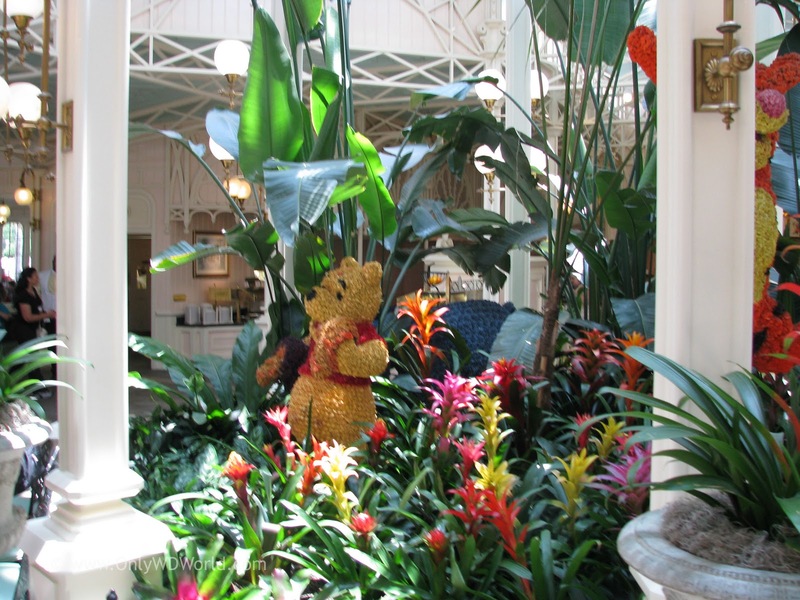 Who can resist the playful charm of Pooh or Tigger? 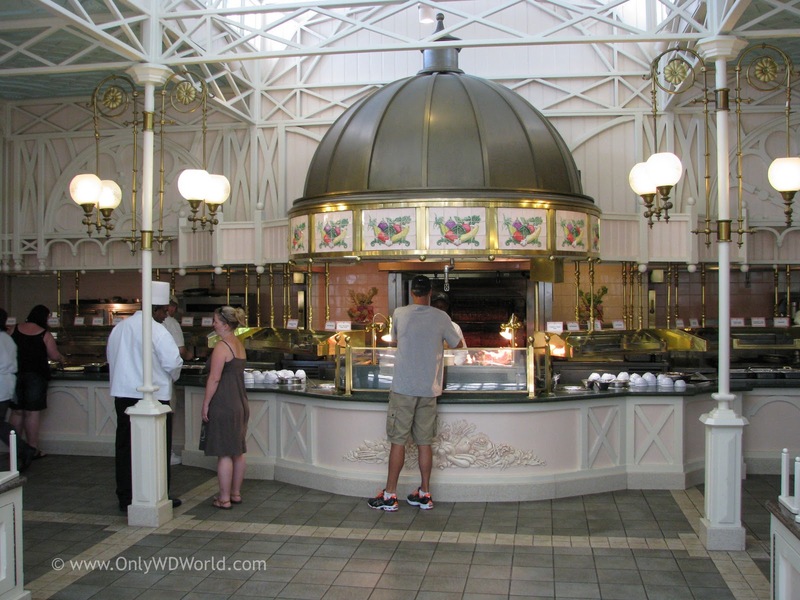 If you only have one Character Dining Experience to try, you will not be disappointed with trying the Crystal Palace. 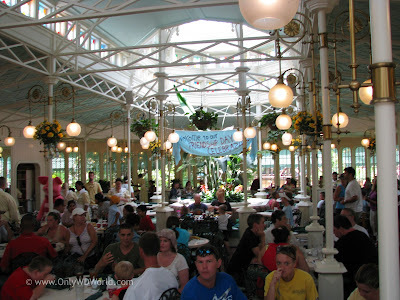 Even with the large number of families and the Disney Characters the environment was much quieter than expected and the surrounding are beautiful. 0 comments to "Disney World Character Dining: Magic Kingdom's Crystal Palace"